Some tax experts say Treasury Secretary Steven Mnuchin may be overstepping his authority by getting involved in the administration's response to a congressional request for the president’s tax return information that they say should be decided by the IRS commissioner. 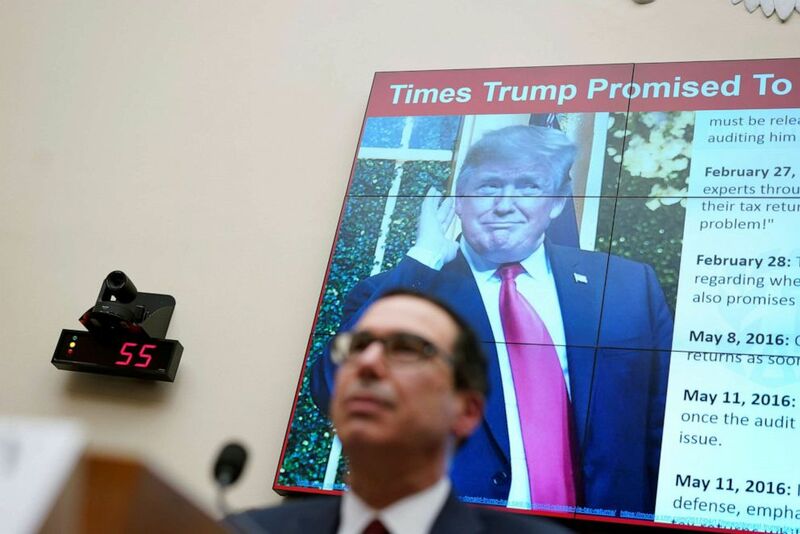 "As both a policy and legal matter, Mnuchin should not be involved," said Steven Rosenthal, a tax lawyer and senior fellow in the nonpartisan Urban-Brookings Tax Policy Center. On Wednesday, Mnuchin said in a letter that he would supervise the administration’s response to the House Ways and Means Committee request for President Donald Trumps's tax information and that the Treasury Department was in consultations with the Department of Justice on the issue. Chris Rizek, a former Treasury Department lawyer who currently practices at Caplin & Drysdale, said Mnuchin’s letter struck him as disingenuous, noting that Congress lays out in the IRS Restructuring and Reform Act of 1998 that the IRS commissioner, and not the Treasury Secretary, has authority in these matters. "Evidently the secretary hasn’t read the code he was citing, because the code delegates all these authorities to the IRS," Rizek said. Mnuchin could, in theory, try to take back the authority that has been delegated to the IRS but he would need to first notify Congress and then wait 30 days for that to take effect. "Until Mnuchin goes through the steps of withdrawing his delegation, he should not be involved," Rosenthal said. "And as a policy matter, the question is: Should the IRS be left alone to do its job? And the Treasury Department just said no." In responding to House Ways and Means Committee chairman Rep. Richard Neal's request, Mnuchin said there are constitutional concerns at play. Treasury Secretary Steven Mnuchin testifies before a House Financial Services Committee hearing on the "State of the International Financial System" on Capitol Hill in Washington, April 9, 2019. "The Committee’s request raises serious issues concerning the constitutional scope of Congressional investigative authority, the legitimacy of the asserted legislative purpose, and the constitutional rights of American citizens," Mnuchin said in his letter. "The legal implications of this request could affect protections for all Americans against politically-motivated disclosures of personal tax information, regardless of which party is in power." But Rizek and Rosenthal said they see no constitutional issue with Neal’s request, which he made under the authority granted to him under law as the chair of the House Ways and Means Committee. "As a taxpayer, the president is no different than any other taxpayer. I don’t think there’s any constitutional concerns there at all. So there’s no constitutional implications there so that’s overblown there," Rizek said. The Ways and Means Committee’s authority is clearly established under its standard oversight authorities, Rosenthal contends. "If the Ways and Means Committee cannot ask questions about whether the IRS is properly administering tax laws, what oversight could they ever exercise?" he asked rhetorically. "The oversight and investigations of Congress stems from its legislative authority and there’s a couple of centuries of precedent here." Neal has said his committee is considering legislative proposals and oversight over whether the IRS is fairly auditing and enforcing tax laws as it relates to the president in making his request to the IRS. But Mnuchin suggests Neal is being disingenuous by questioning the chairman's stated legislative pursuits. The president’s personal lawyer has also argued that Neal is acting -- not from a place of oversight -- but with an ulterior motive. Rizek says, as a legal matter, whether Neal has political motivations is not of consequence because his stated oversight pursuits are sound. "As a general proposition, politicians’ statements are not part of the official record," Rizek said. "The question is not whether it’s political but whether those are legitimate stated purposes and those purposes are pretty darn good. This committee has jurisdiction over whether the IRS is doing an adequate job." Democrats are contemplating next steps in consultation with House lawyers. A committee aide said Neal could soon respond to Mnuchin’s letter with a second letter requesting the returns before taking additional steps. In refusing to voluntarily release his tax returns as a candidate, and now as president, Trump has cited an ongoing audit. Though IRS audits do not prohibit the president from making his returns public, the president has said he is acting under the advice of his lawyers. The president further asserted Wednesday that the American people "don’t care" about his taxes. "I would love to give them, but I’m not going to do it while I’m under audit. It’s very simple. Remember, I got elected last time -- the same exact issue, with same intensity, which wasn’t very much because, frankly, the people don’t care," Trump told reporters at the White House Wednesday. The Treasury Department did not respond to request for comment to this story.